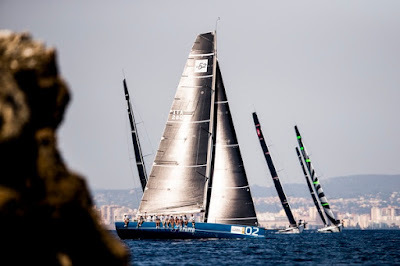 The Bay of Palma may deserve its reputation for one way traffic, often a binary decision is all that is required, but today with the mercury again rising above 32 or 33 degrees on land and the race course axis nicely positioned, there were many subtle, hard to read changes in the sea breeze which was mostly in that critical 8-11 knot range where any small changes in wind pressure and direction make a proportionately bigger difference to the speed and angles the 52s sail relative to each other. 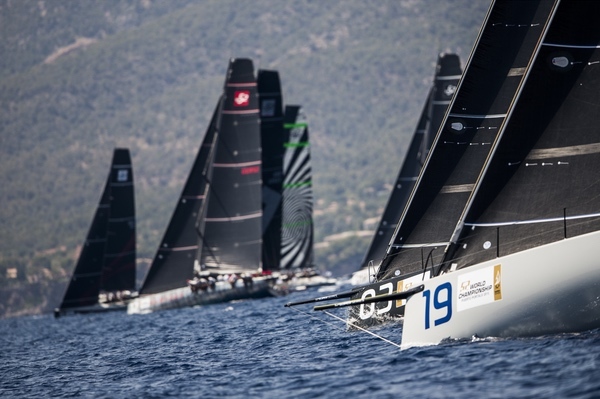 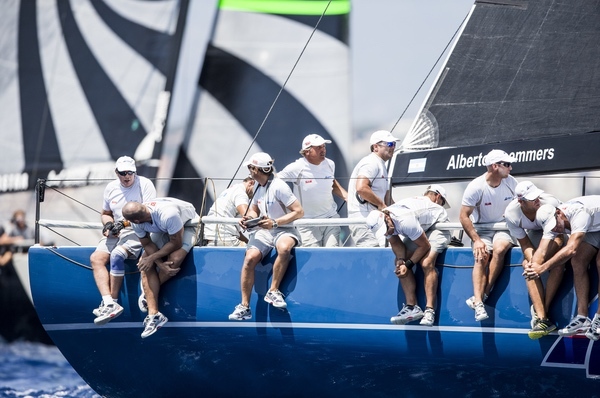 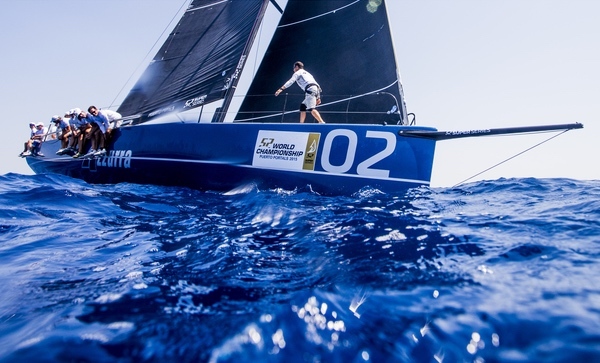 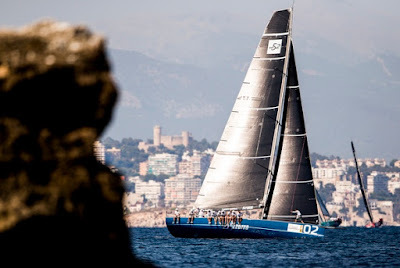 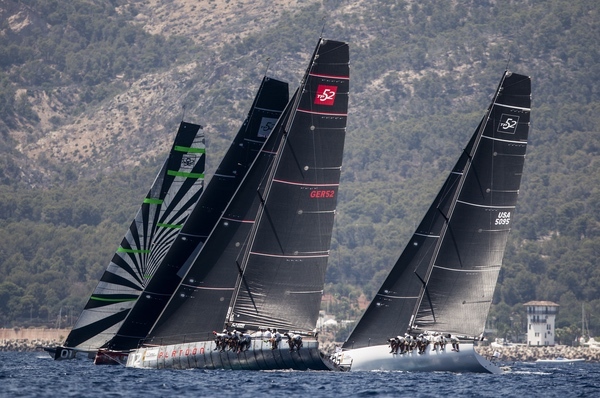 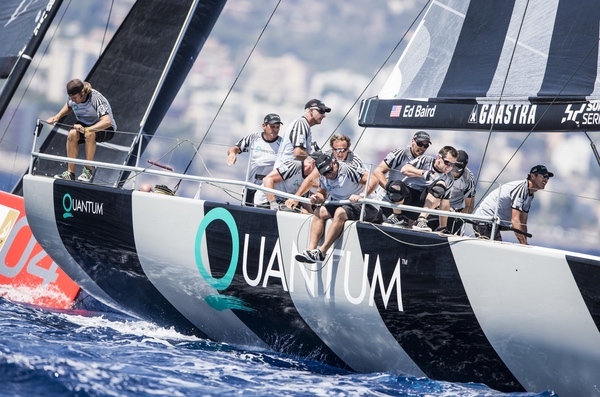 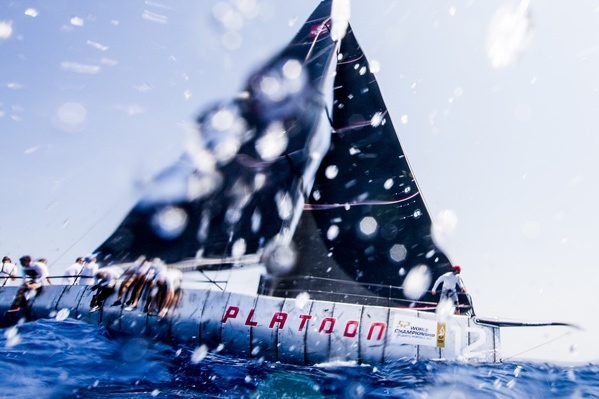 Azzurra’s tactician Vasco Vascotto admits he has forgotten how many regattas he has sailed back to back at this stage in the summer, but he is surely riding a wave of success and confidence. Although they were squeezed out of the start they wanted in the windward-leeward race they were able to get straight into a beneficial wind shift to chase Andy Soriano’s Alegre around the track. 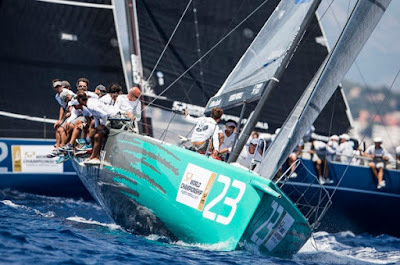 Alegre won their first race since Valencia in May and by the end of the day had moved themselves up to third overall, just two points behind Bronenosec which went 5,2 for the day. Meantime Vascotto is doing all he can to rein things in and keep the feelings cool among a crew which have their moments as fiery, feisty Latins. “It is better to forget what has happened today because it is easy to overreact to the good things that happened. 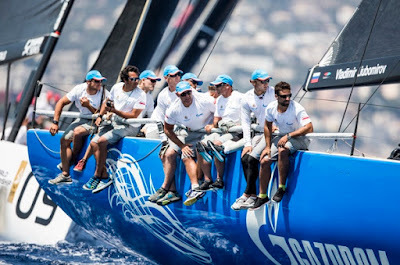 Today we are happy but we need to forget if we want to maintain these kind of results. 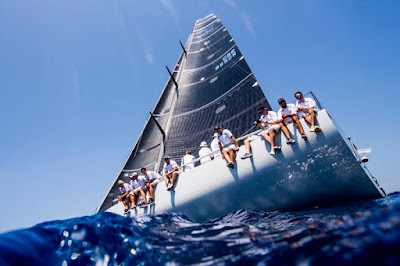 We need to sail clean and nice. I say that to myself every day,” Vascotto said.